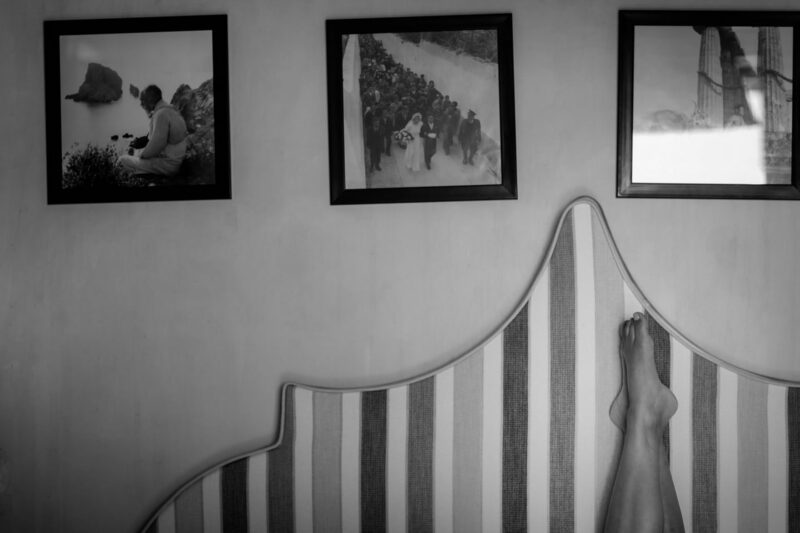 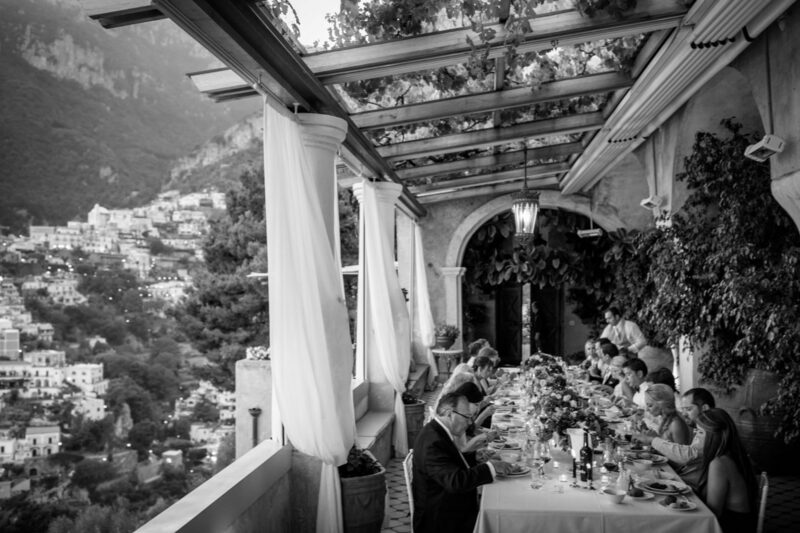 "In this incomprehensible landscape, only the sea is horizontal and all that is land is almost perpendicular" Positano is a little paradise on the Amalfi Coast. 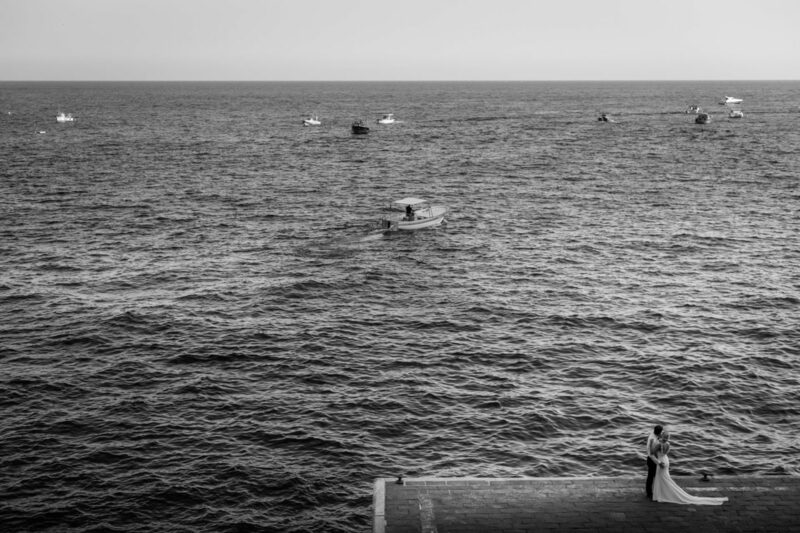 A small village of almost 4,000 inhabitants. 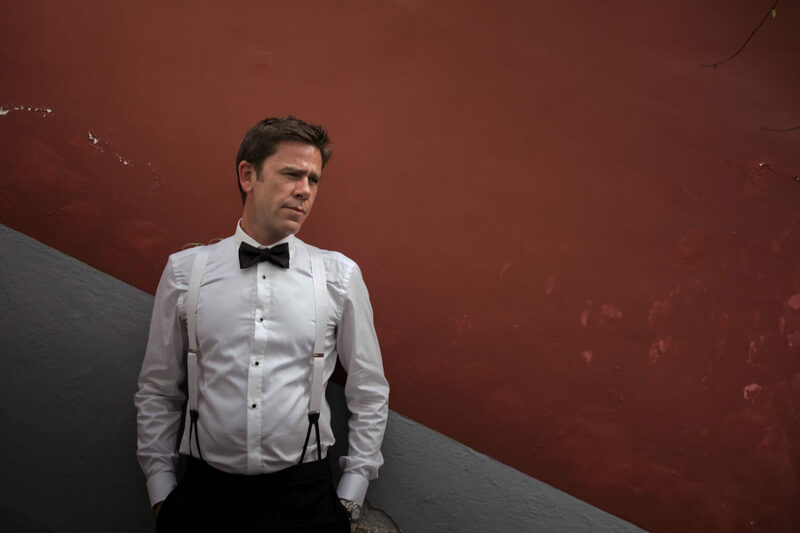 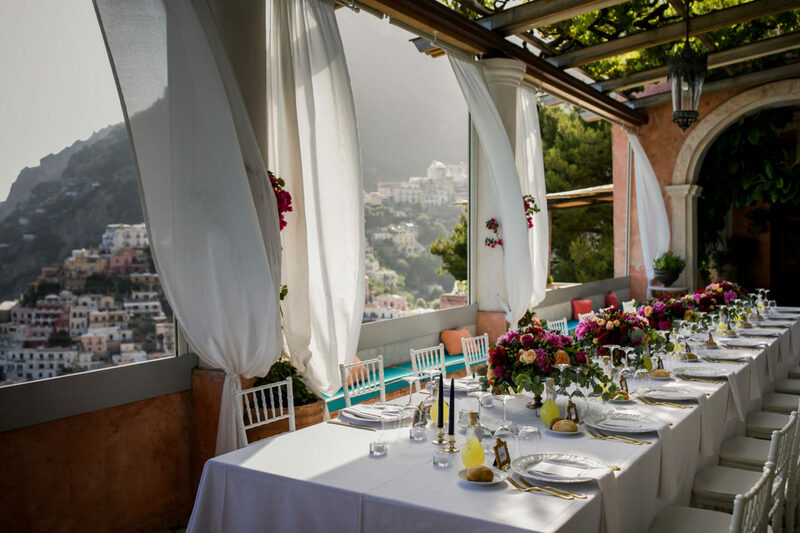 I like working in Positano, although it is impossible to drive, the atmosphere is really jovial and the scenery is breathtaking. 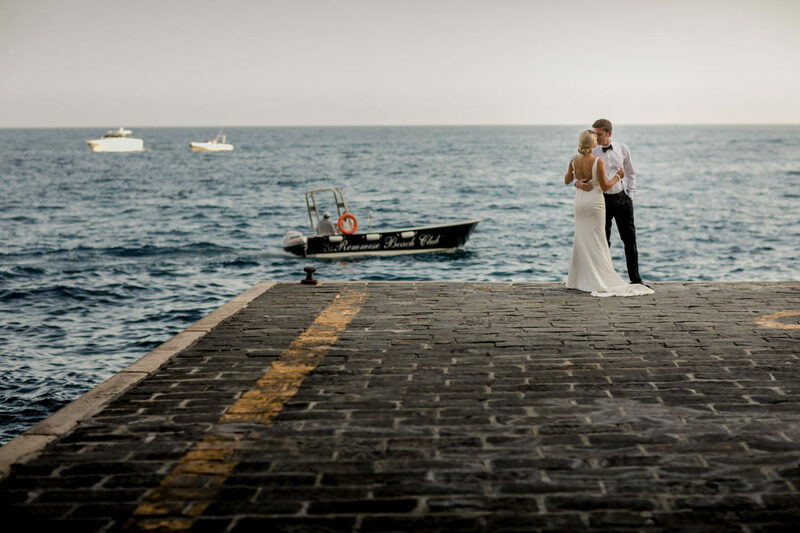 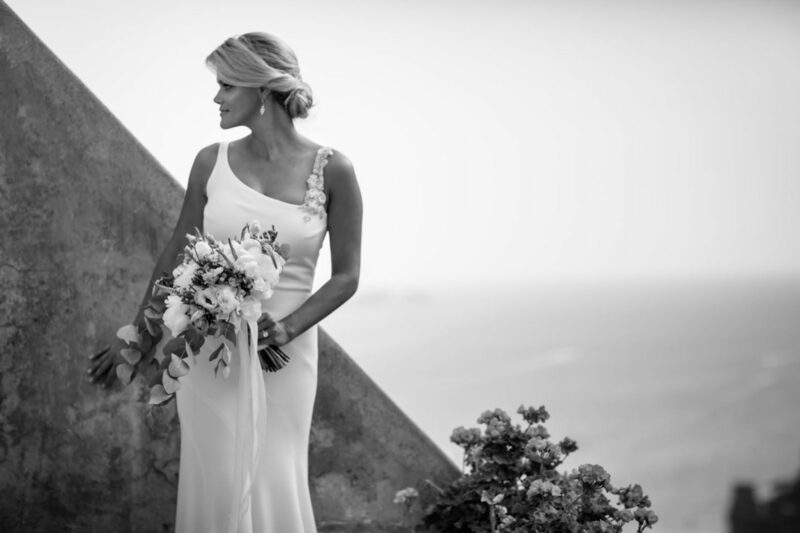 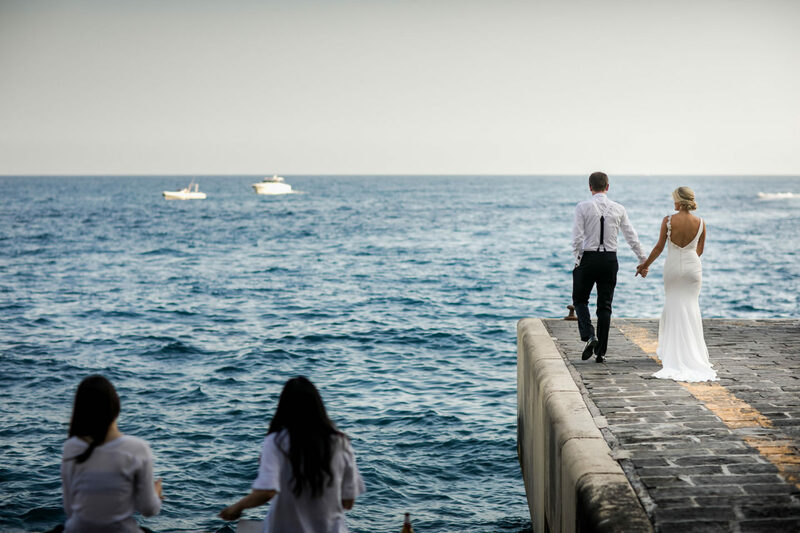 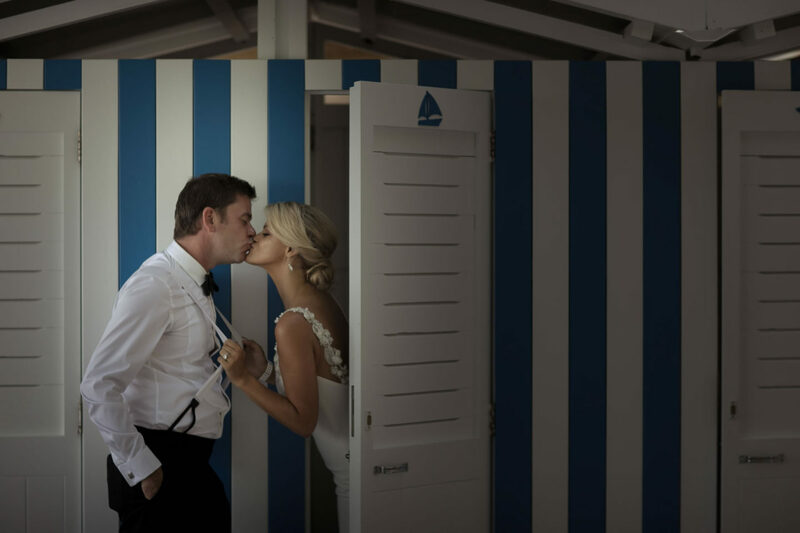 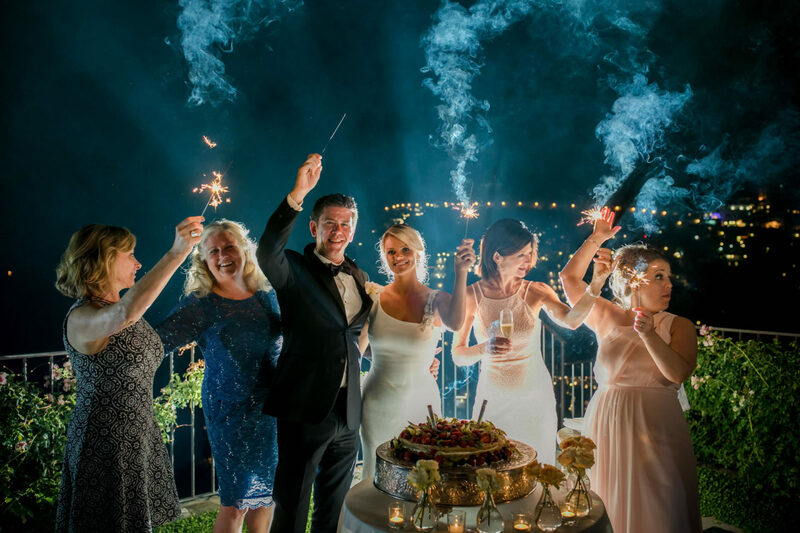 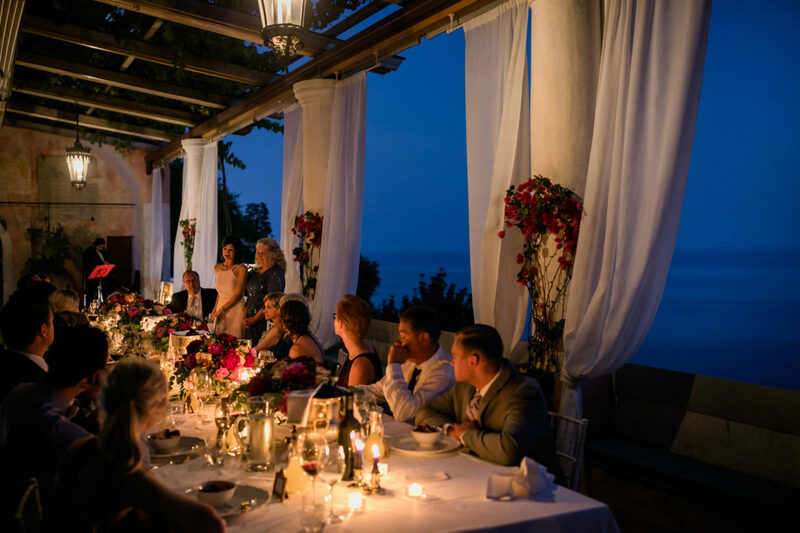 I understand why many couples choose to celebrate their most important day here as Vanessa and Sean did, who chose to celebrate their love at Villa San Giacomo, which offered them a personal postcard of this magical sea. 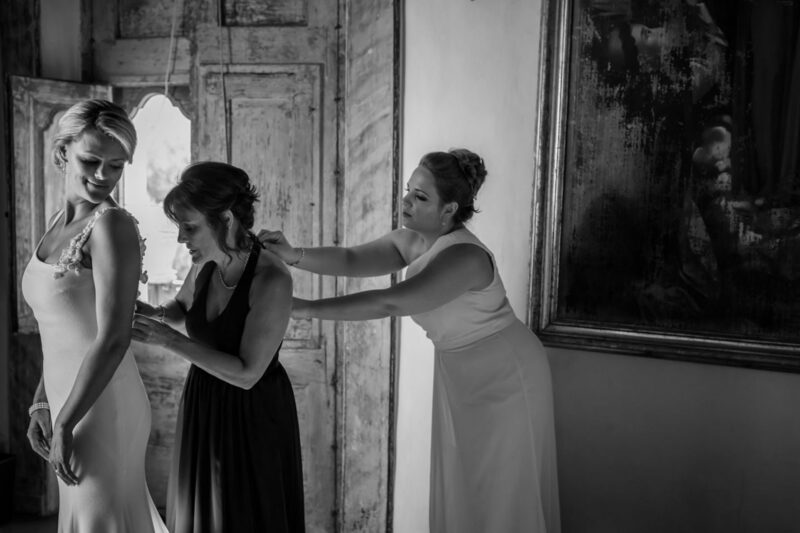 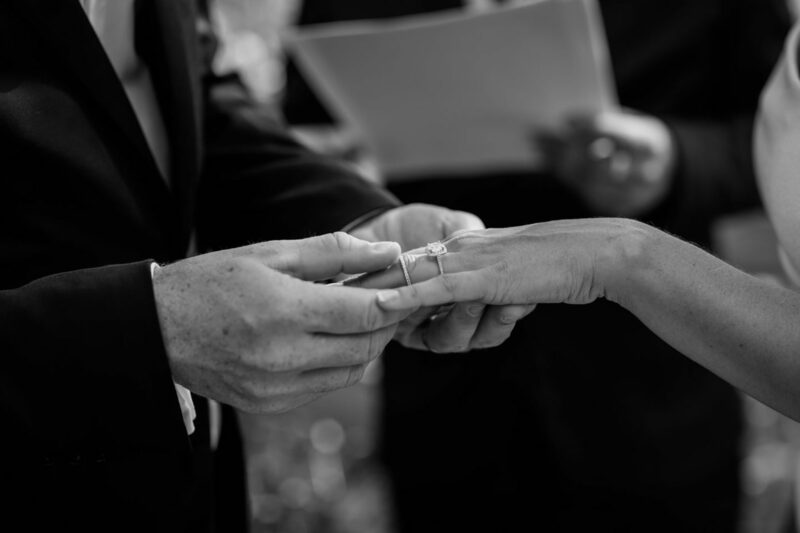 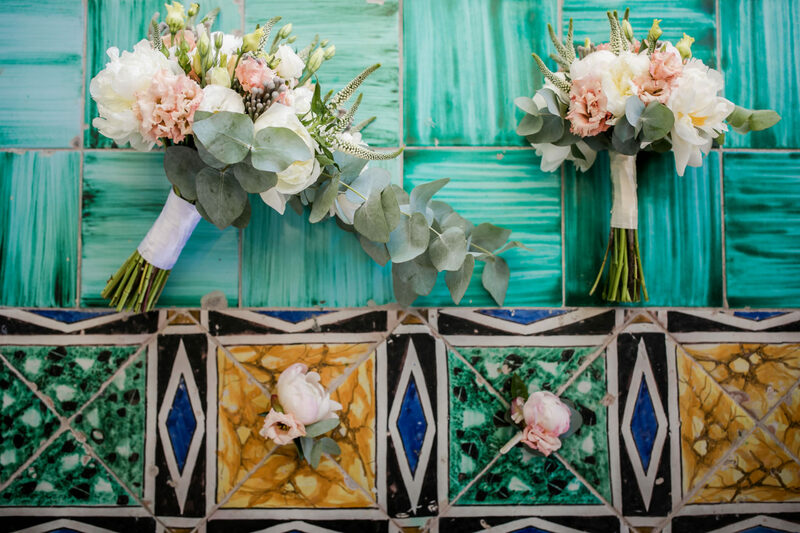 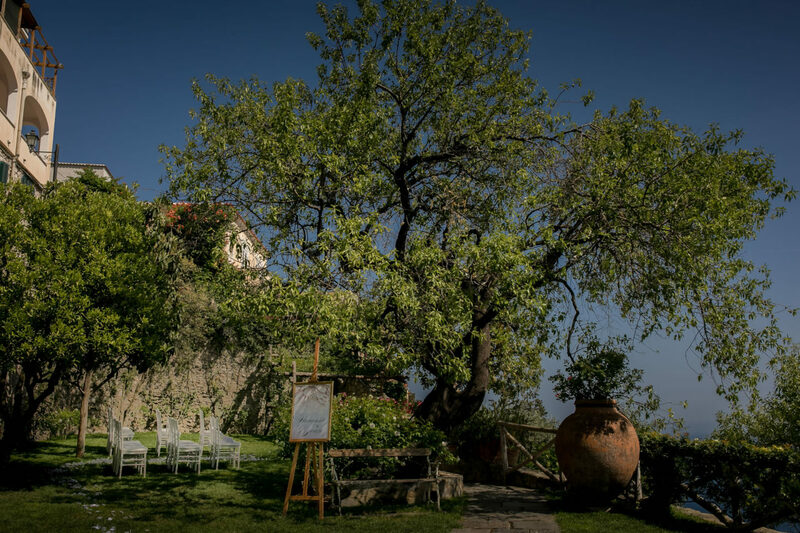 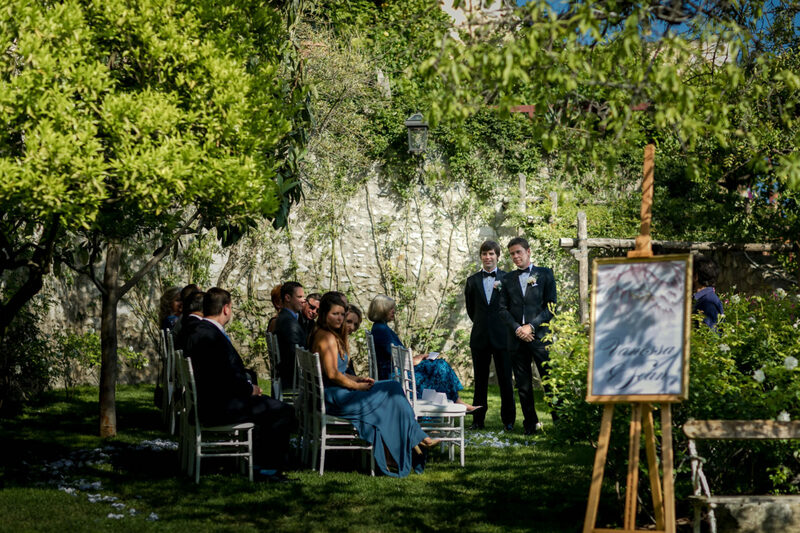 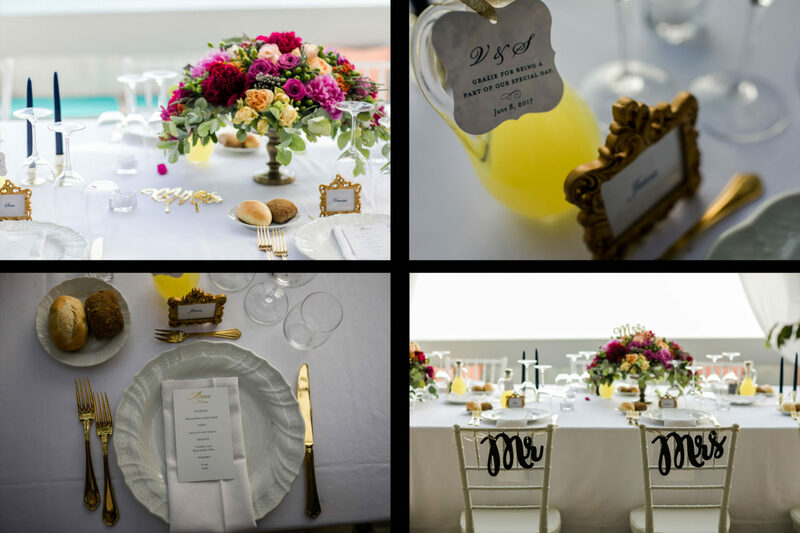 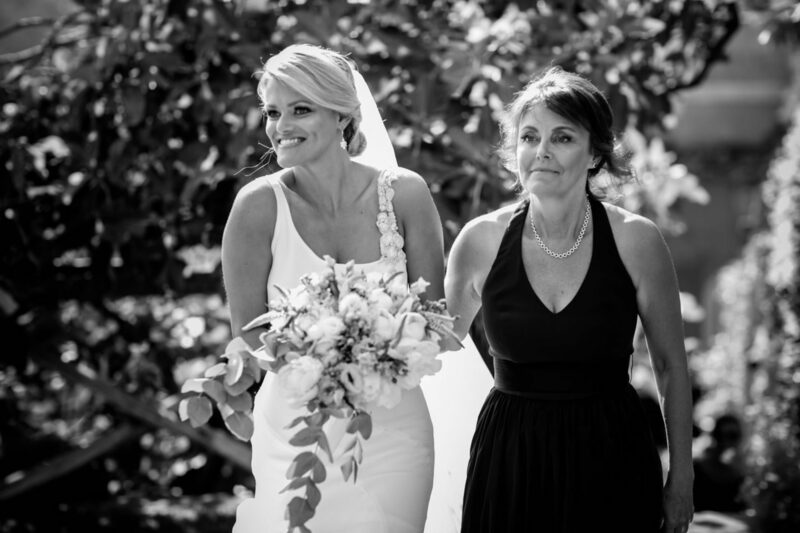 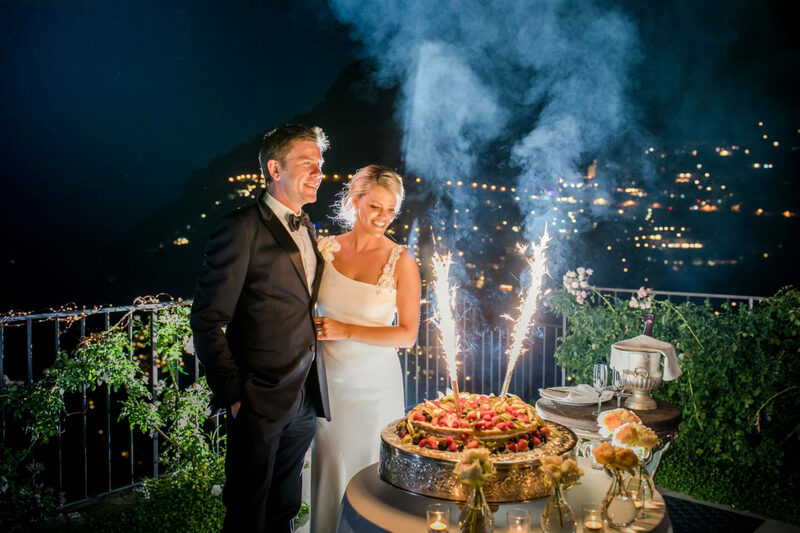 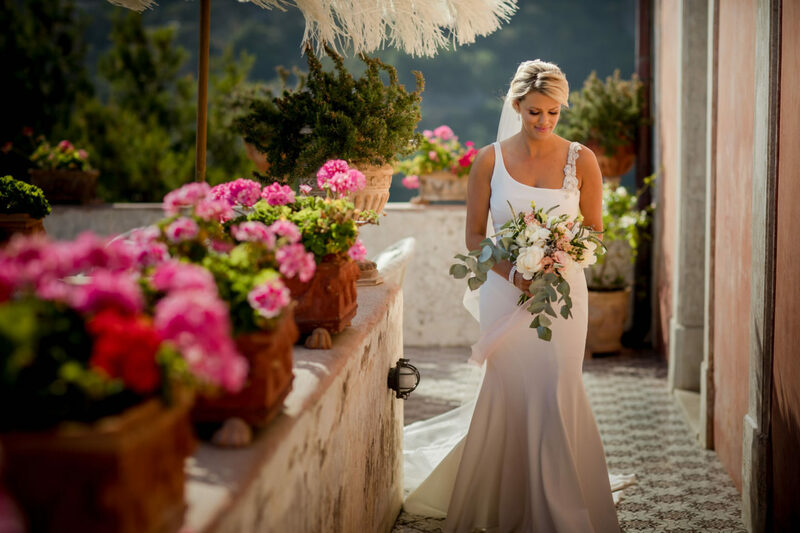 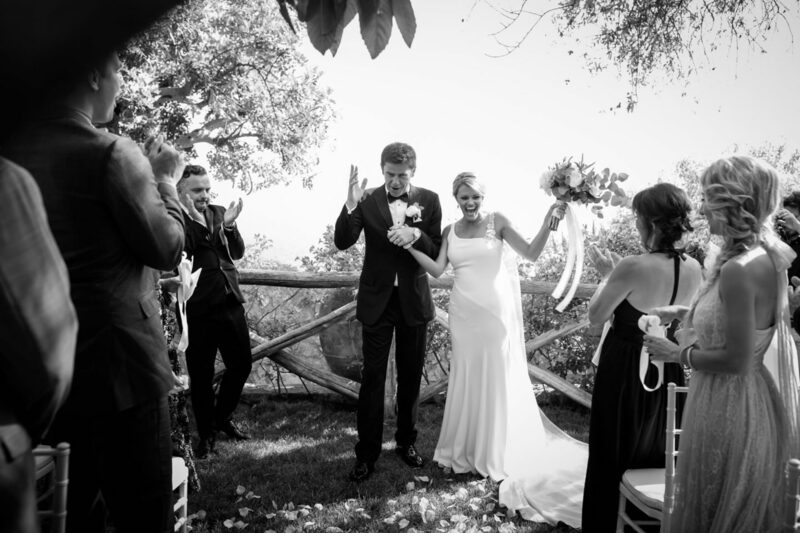 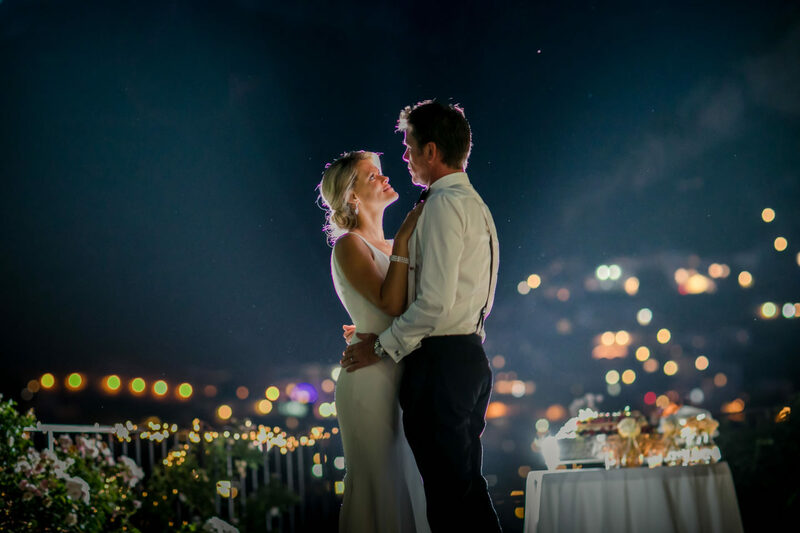 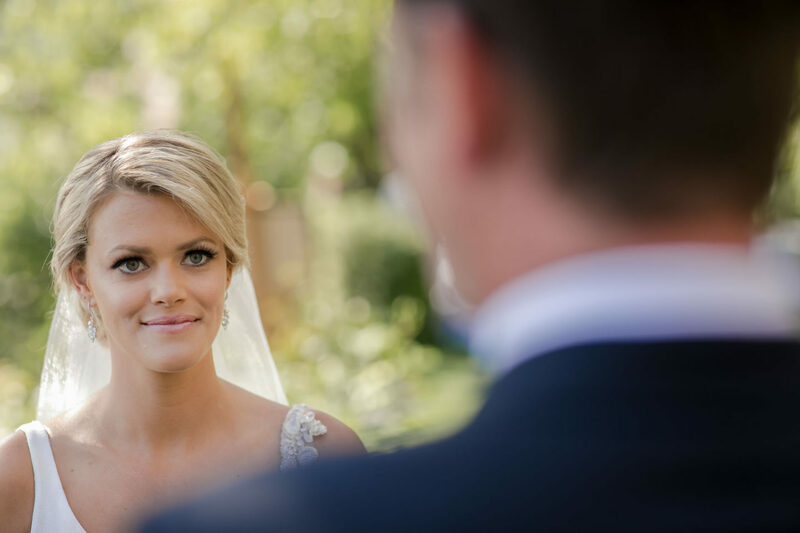 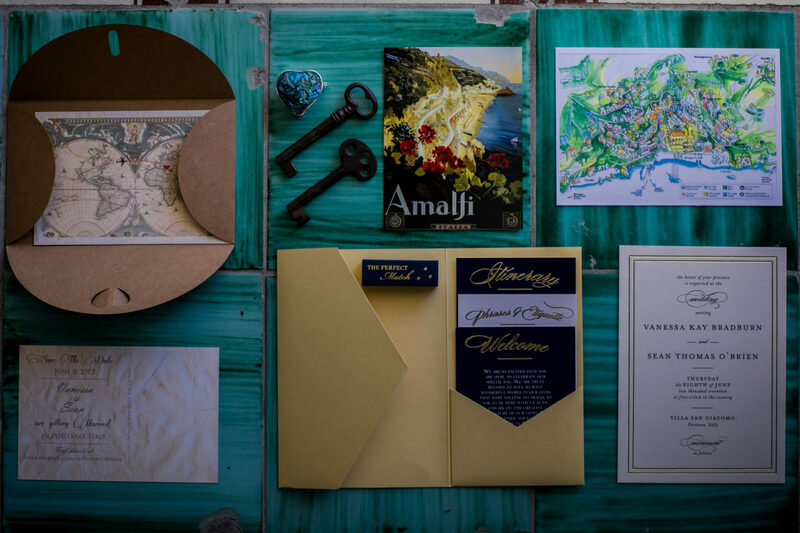 With the help of their wedding planner Carla by Regency, this couple have organized a special day for their family full of details and characterized by a small intimate ceremony, surrounded by the green trees and by a wonderful view on the sea of Positano. 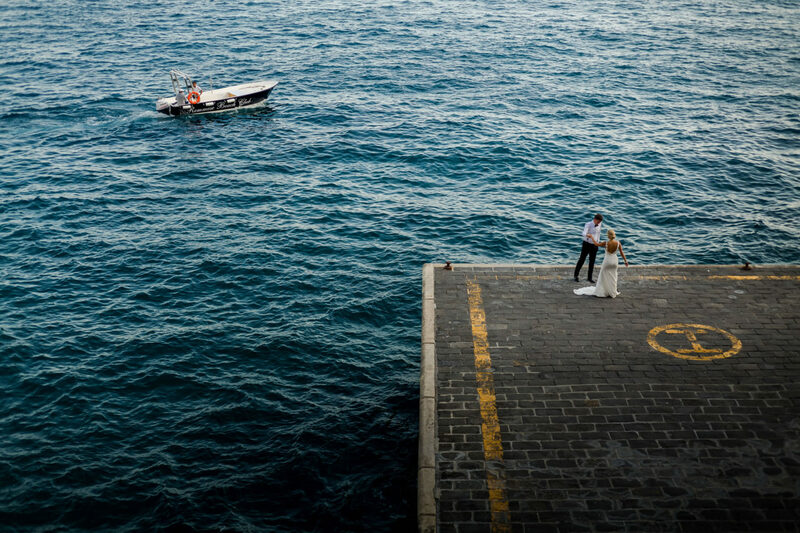 I tried to stay true to the colors of the place and take advantage of this bright light in the photos I took on this day; shooting in the center of Positano even if at the beginning of June is not easy at all, the continuous coming and going of tourists leaves you really little margin but they can always come out very interesting photos. 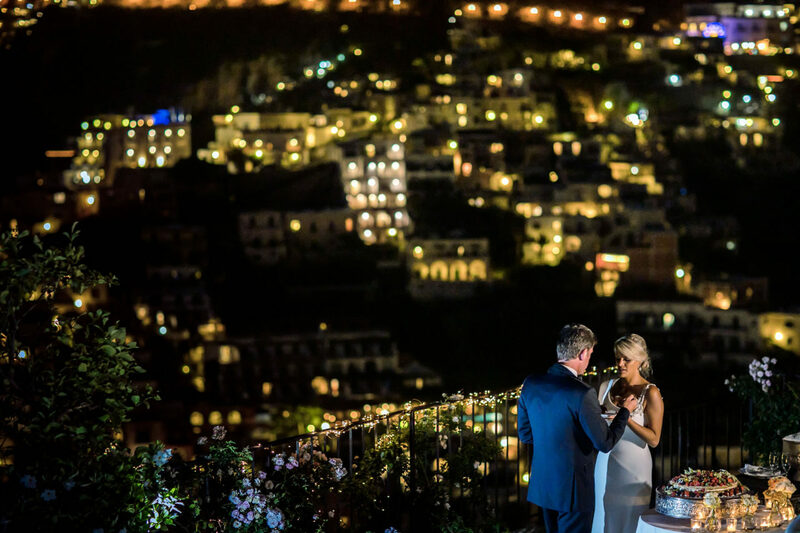 The wedding in Positano continued afterwards with a dinner on the terrace and a very special cake cut surrounded by the lights of this magical village. 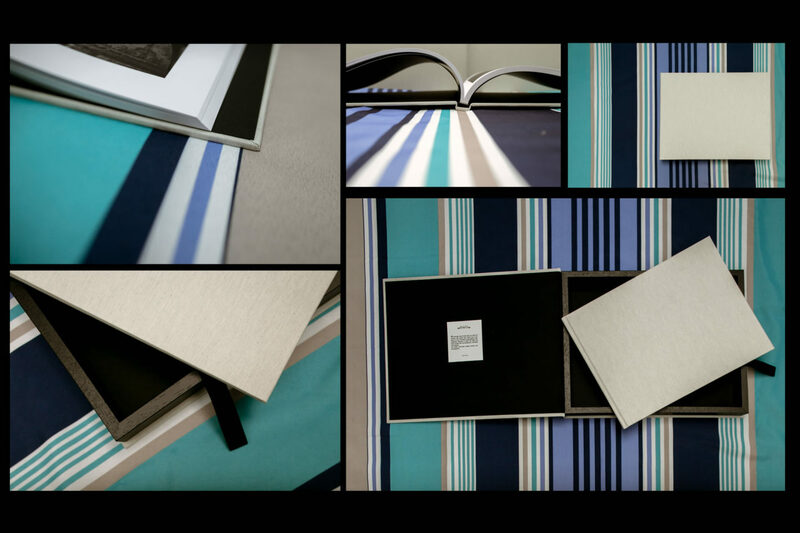 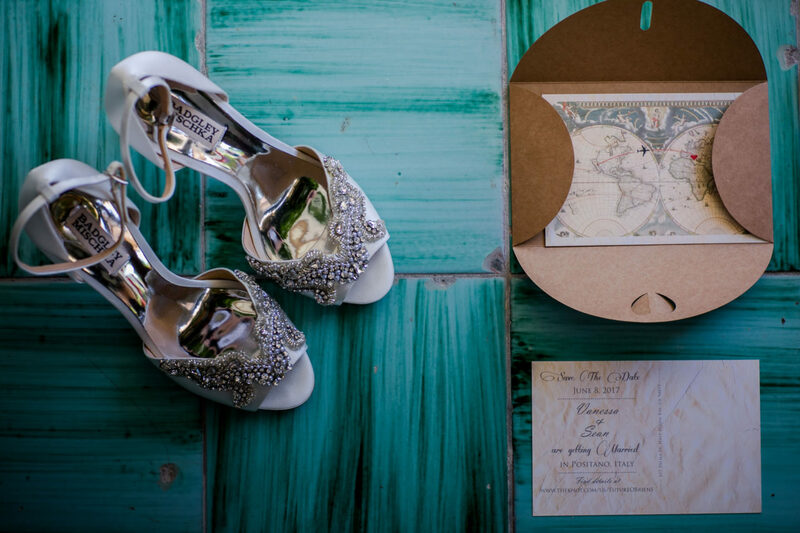 These newlyweds have chosen a fresh and modern Floricolor album like them, the Fusion Book, luster paper.